Whereas the other entrants are in the early stages of a playing career, Sheehan chose to pursue teaching before competition. 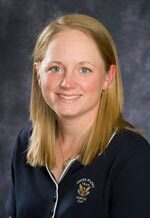 Based at Reunion Resort, she's the first competitor to hold dual PGA of America and LPGA certification. "It was exciting to get picked, just in that regard," said Sheehan, 32. "I wanted to uphold our reputation in the golf business. I kind of joked about it to the producers — I need to be Corporate Kelly." Someone had to be the first to go from "Big Break Sandals Resorts" and, alas, it was Elena Robles. But she will live on through the rest of the Golf Channel series by virtue of her bikini intro in the show's credits. By the way, one of the show's cast members, Seema Sadekar, is writing a weekly show diary on About.com. Here's her Episode 1 diary. 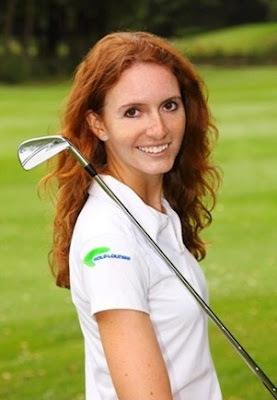 See the official Big Break Sandals Resorts website for more about Elena. The Constructivist has the details on Akane Iijima's fifth career win on the JLPGA. It came today at the Suntory Ladies Open. Golf Babes got a ton of traffic yesterday from Finland, and I couldn't figure out why until I saw this post on About.com: Minea Blomqvist returns to the LPGA this week at the State Farm Classic. She's been out since late last year due to pregnancy, and gave birth to a boy a couple months ago. Now it's time for mommy to go back to work. Jennifer Song leads the American team into the 2010 Curtis Cup this week in Massachussetts, taking on Great Britain and Ireland in the every-other-year match for amateur women golfers. I think the Curtis Cup will be Song's final event as an amateur. She's playing a Futures Tour event soon after, and has also accepted a sponsor invitation into the LPGA Canadian Women's Open. If the Curtis Cup is Jennifer's amateur swansong, then what an amateur career it's been. 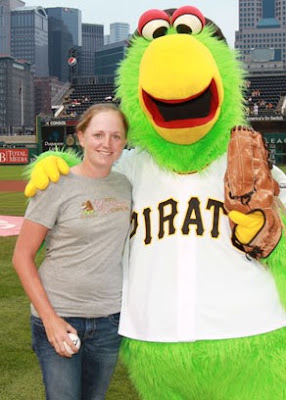 In 2009, she won both the US Amateur Public Links and the US Women's Amateur championships, only the second woman ever to claim two USGA championships in the same year. 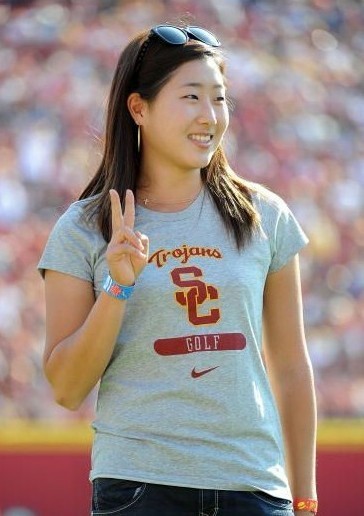 She's been a dominating player at the collegiate level in her two seasons at Southern Cal, and was low am at the 2009 U.S. Women's Open and the 2010 Kraft Nabisco Championship.